The woods are full of living things, all contributing to the forest’s diversity: Trees; check. Shrubs; check. Woodland flowers; check. Birds; check. Obvious enough, right? 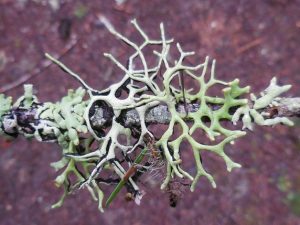 Let’s take a look at some more obscure but fascinating members of the forest community: lichens. We’ve all seen them. They are everywhere, including your woods. But what is a lichen? A lichen is partnership of two organisms that must grow together (so an obligatory, mutualistic association). The partnership includes a fungus which provides structure for the team, and a green algae and/or cyanobacteria which provides the carbohydrates through photosynthesis. These lichen partnerships are ancient, very diverse in form, highly adaptable and successful, and can be found in most environments around the world. Lichens seem quite happy in our seasonally-moist forests of the Pacific Northwest. We see many lichens and mosses growing on and hanging from branches, or plastered as crusts on the bark of many trees and shrubs of our forests. Lichens and mosses are hitchhikers, growing on the trees without harming them (so are epiphytes, not parasites). 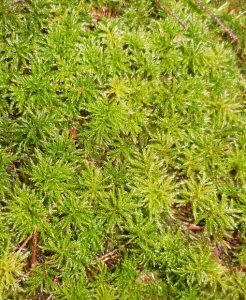 Epiphytic lichens and mosses can make a significant contribution to diversity in our Woodlands. 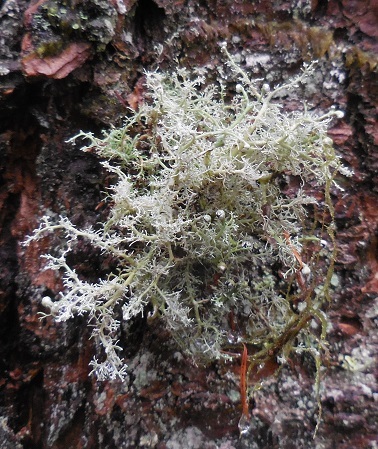 There may be 50 or more species of epiphytic mosses and lichens in a typical acre of forest in western Oregon. That is noteworthy since they may outnumber all the trees, shrubs and herbaceous plants in that same acre! 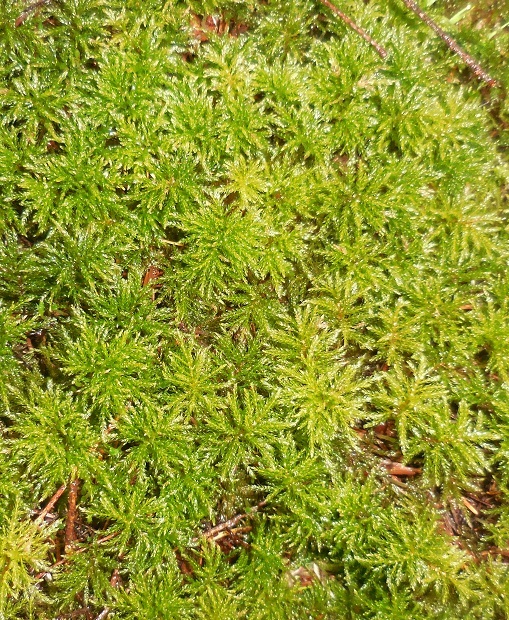 But epiphytic lichens (and mosses too) contribute to forest diversity indirectly also. Many small insects live within the nooks and crannies of the epiphytes, which in turn provide food for many small birds foraging in the lichens. Lichens are seasonally important food to some mammals such as squirrels and deer. So lichens and mosses contribute to the food web, nutrient cycling (some lichens are nitrogen fixers) and animal diversity. So they are worth thinking about if you are growing a diverse forest. 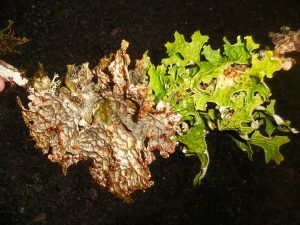 Steps towards enhancing the diversity of lichens fall broadly in line with suggestions for increasing overall diversity in your woodland : Thin to prevent stands from becoming extremely dense and dark and to increase the structural diversity. Keep minor species, including hardwoods when thinning. 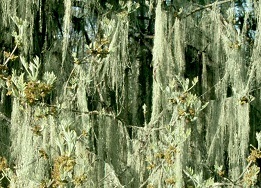 Hardwoods help diversify structure in general, but are particularly good hosts for many epiphytes. Keep some older legacy trees if you have them, and plan for longer forest rotations. So next time you are out, make an effort to pay attention to the lichens and other epiphytes that give our forests their characteristic fuzzy glow. It is easy to notice and appreciate their diversity of shapes and colors, even if not to identify them. Learn more about lichens in your woods by visiting this epiphyte website maintained by my friend Bruce McCune, an Ecologist at OSU, lichens expert and family forest landowner.